A NuGet Credential Provider for Visual Studio 2017 to facilitate authentication against secured NuGet feeds hosted on MyGet. 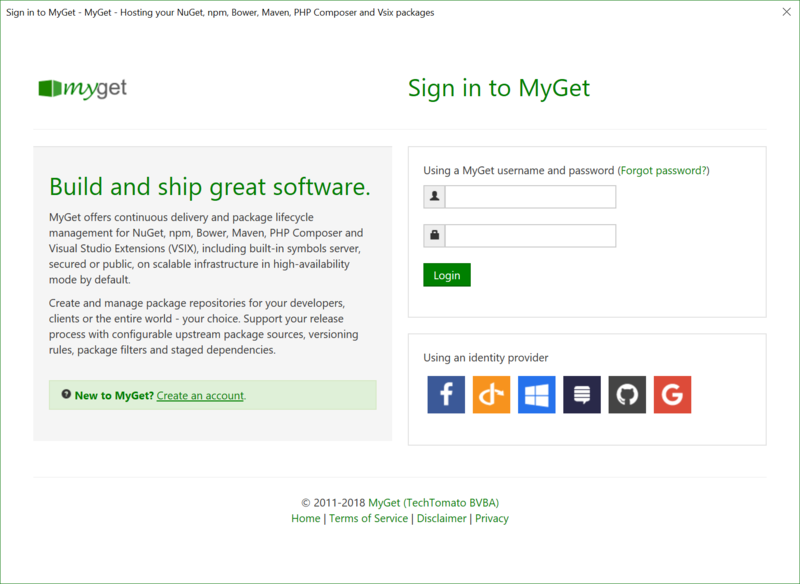 The MyGet Credential Provider for Visual Studio provides an easy way to connect to secured NuGet package sources hosted on MyGet. It is a Visual Studio extension that relies on NuGet's credential provider extensibility, so it requires the NuGet Package Manager to be available in your Visual Studio workload. For the latest info, see the MyGet docs at http://docs.myget.org/docs/reference/credential-provider-for-visual-studio.